It is the beginning of week three in my quest to make 31 healthy recipes during National Nutrition Month. Besides for having to visit the grocery store more often than I would like, I am really enjoying this challenge! The majority of these recipes have been simple to make, and are very tasty! This may have been one of the easiest pot roasts I have ever made. There were no carrots to peal or potatoes to cut. Simply, I cut rings of onion, diced the garlic, and placed the all the ingredients in the crock-pot . What did I do next? Walk away for a good 6 hours! When I returned, the meat was falling apart and was ready to eat! Along with being very easy to make, this recipe is a healthy protein. Typically slow cooking meats require lean cuts that are tough when cooked quickly. 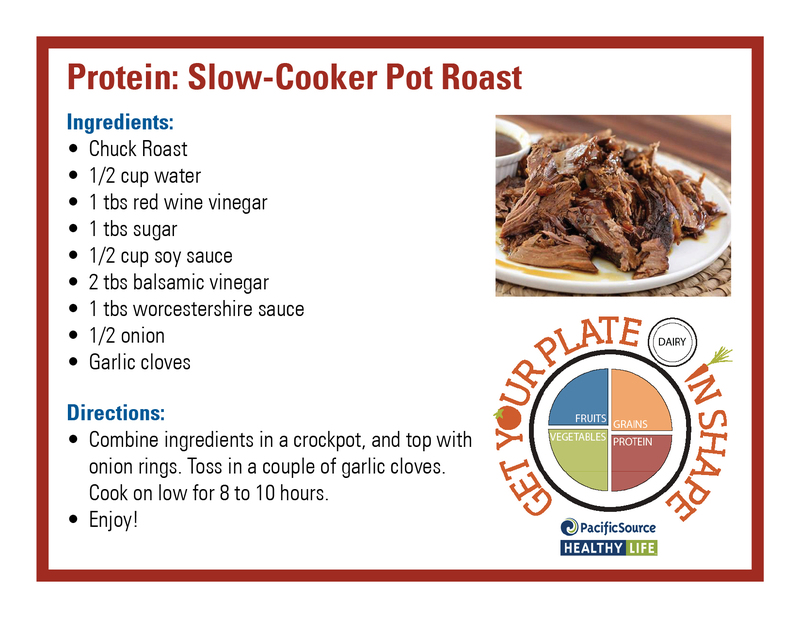 With the slow cooking process, the meat becomes tender, the flavor is brought out, and you have a tasty, low fat meal! This was a great side for the pot roast, but would be even better with a filet of salmon (the fresh dill and lemon go perfectly with salmon). 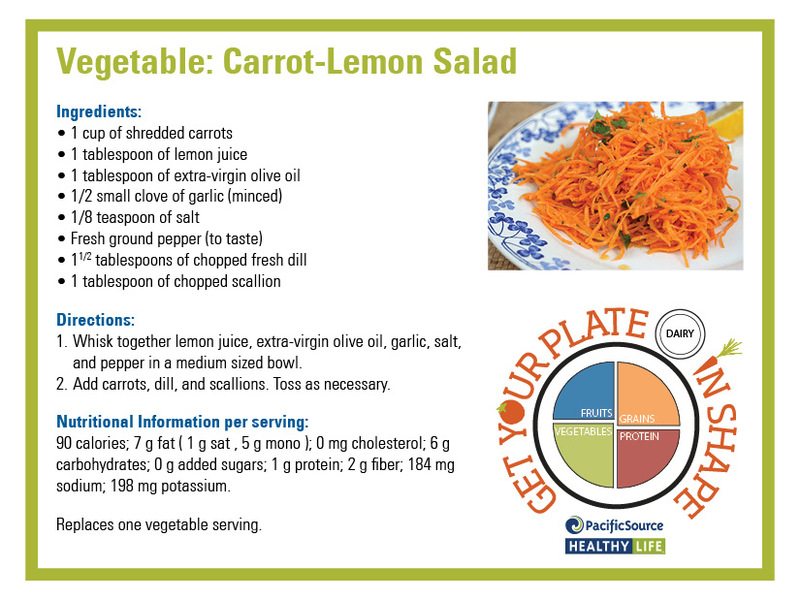 Either way, the recipe is fresh, easy to make, and great way to get a serving or two of veggies! Nothing is better than comfort food on a cold, dizzily day, and not too many foods are more comforting than pot roast and roasted veggies. Yes, I did say comfort food in a blog about healthy recipes! 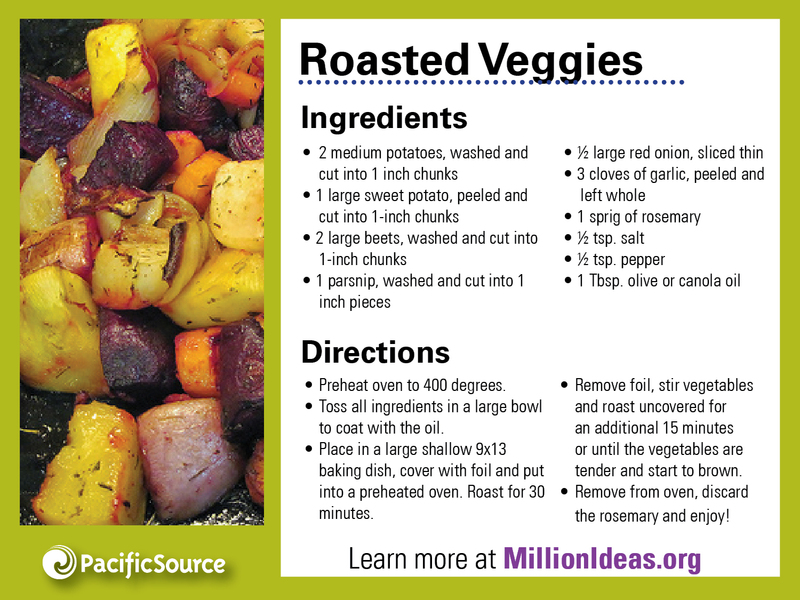 The roasted veggies recipe calls for potatoes, sweet potatoes, turnips, and onions, providing a variety of veggies and nutrition! Also, cooking the veggies separate from the pot roast was a great choice. The veggies stood up on their own, instead of sharing the same flavors of the pot roast. Yet again, this is another meal I will make in the future. I am pleasantly surprised at how many times I get to repeat that statement! To all of you who contributed to creating these recipes, thank you! The count is now 10 recipes. So, I will be cooking plenty this week, and will continue to share my thoughts. Hope you are enjoying these recipes as much as I am! Bite Into a Healthy Lifestyle – Eat Healthy Fat!